The mass exodus from Snap (NYSE: SNAP) continues, as CFO Tim Stone announced his departure on Jan. 15, just eight months after joining the struggling company from Amazon.com (NASDAQ: AMZN). His departure comes as the company confronts a declining user base. Snap says the main issue is that Android users are abandoning the app over annoying glitches that have been hard to fix because of coding issues. The company continues to assure investors that once the redesigned Android app is launched, its user growth will see a meaningful improvement. Snap's stock fell more than 17% on Jan. 15, the day Stone's departure was made public. It seems that as executives lose confidence in their company's ability to compete in the world of Instagram, so does the public. In the past year, seven Snap executives have abandoned the company. Let's take a look at the names. Snap CEO Evan Spiegel has lost a chunk of his management team this year. Image source: Snapchat's YouTube page. Since Stone joined Snap just eight months ago, after working at Amazon for 20 years, he wasn't the only CFO to depart the company in the past year. He was replacing former Snap CFO Drew Vollero, who left the company in May of last year after helping it go public in March 2017. 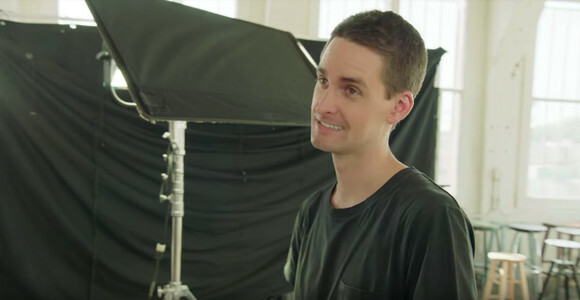 Stone had a $500,000 salary at Snap, along with $20 million in restricted stock, with an option to buy 500,000 common shares. The stock payments were supposed to be spread out over four years, meaning Stone won't receive the full payment. In an internal email, Spiegel told employees that Stone will stay on through Feb. 5, when the company releases its quarterly financial report. Snap's HR chief, Jason Halbert, is leaving the company after four years, Business Insider reported on Jan. 14. He previously worked as an Army officer. While at the company, Halbert was the subject of a number of employee complaints regarding what they considered inappropriate behavior, including warning them to look out for serial killers. The complaints led to an outside inquiry in late 2017, but he was able to keep his job following the investigation. Tom Conrad announced this month that he will leave the social platform in March after two years as its VP of product. He previously worked as chief technology officer at Pandora (NYSE: P), where he helped make the company's music app. If you're counting, that's three top Snap executives who have announced their departure in just the first month of 2019. Conrad said he's leaving the tech industry altogether to explore more artistic passions, such as music, food, and photography. Snap's VP of product is an especially important role right now, considering the company is still dealing with the fallout from the botched release of its app redesign on Feb. 6 of last year. Users immediately hated it. By the end of the month, over 1.2 million people had signed a petition on change.org asking Snap to reverse the update that they said made features more difficult to use. In addition, Snap is still working on an Android app redesign to replace the current glitchy one that's making it difficult to retain current Android users and attract new ones. Snap's former chief strategy officer, Imran Khan, left in September 2018, after nearly four years with the company. Khan said he wanted to work on launching his own e-commerce start-up in 2019. Before Snap, Khan worked as head of internet banking at Credit Suisse Group, where he led what ended up being the largest IPO ever, at Alibaba (NYSE: BABA). Snap lost its former VP of marketing, Steve LaBella, this past November for personal reasons. Before joining the Snap team in the spring of 2016, LaBella had worked for Mattel (NASDAQ: MAT) and Fisher-Price for about a decade. Snap announced Kristin Southey as its new VP of investor relations in early September. But Southey quietly left just a few months later, in November. Before her short stint at Snap, she'd worked in a similar role at Activision Blizzard (NASDAQ: ATVI) for 15 years. If these seven departures are making you lose hope in Snap, here's one piece of good news: Snap said it expects fourth-quarter results to come in near the top end of its guidance when it reports on Feb. 5. For Snap's sake, let's hope it's a good quarter and that maybe that revolving door stops spinning quite so fast. John Mackey, CEO of Whole Foods Market, an Amazon subsidiary, is a member of The Motley Fool's board of directors. Natalie Walters has no position in any of the stocks mentioned. 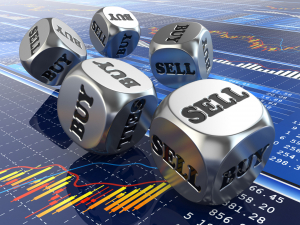 The Motley Fool owns shares of and recommends Activision Blizzard, Amazon, and Pandora Media. The Motley Fool has a disclosure policy.